One of the most important documents that you can have done in your life is your will. This is an official document that will designate your belongings to people in your family. You can also designate some of this to close friends, businesses, or institutions. What you have in this document is what must be abided by in a court of law. Most of the time, a lawyer will simply read the will and procedures will be done to transfer all of the belongings to the appropriate people. 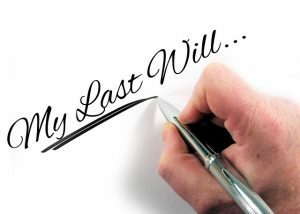 If you do not have a will, then it is possible that you may be facing a very difficult situation which may involve lawsuits and litigations that could last for years. This is a term that is used when a person does not have a will and they die with belongings that need to be distributed. There are laws that must be abided by called intestacy laws. These laws must be abided by in the absence of a will and will be used by a judge in order to properly distribute property of the decedent. This could be anything from securities, bank accounts, real estate, and any of the other assets that they may have. Real estate that may not be in the state where they were residing must be handled by the laws of that state. Each state is going to have completely different laws in regard to what happens to the assets. For example, if the person was single with no children, the parents of the decedent will receive the entire estate if alive, and if they are not, it will be divided up among your siblings. This would then go to relatives on your mother’s side and father’s side if none of the other relatives are available. This will also be divided up differently if the decedent was single with children, married with children, or if they were married and had no children at all. By contacting a lawyer that deals with these situations, you can talk to them about how assets can be divided if you have recently had a parent die without a will. If you do have parents that are living, or if you would like to do a will to avoid intestate legal problems, you should have one done as soon as possible regardless of your age or the state of your health.